This May 19, 2018, file photo shows a view of the crowd at the 143rd Preakness Stakes in Baltimore. 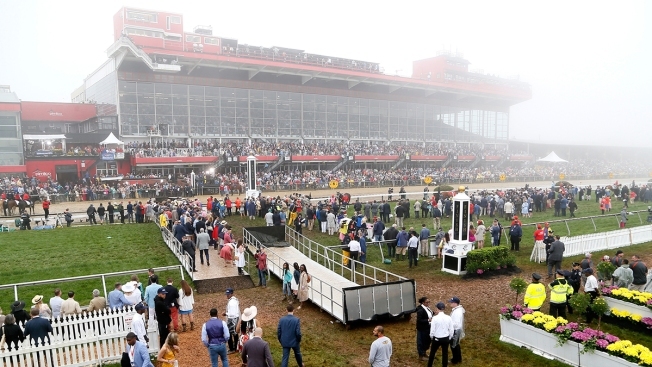 An engineering firm has determined the last historic section of Pimlico Race Course isn't safe, meaning almost 7,000 seats won't be available for the Preakness Stakes next month. Pimlico's website says the seats make up about 17.5 percent of the overall seated capacity of nearly 38,000 people. An additional 82,000 people are estimated to fit in standing room and infield areas. 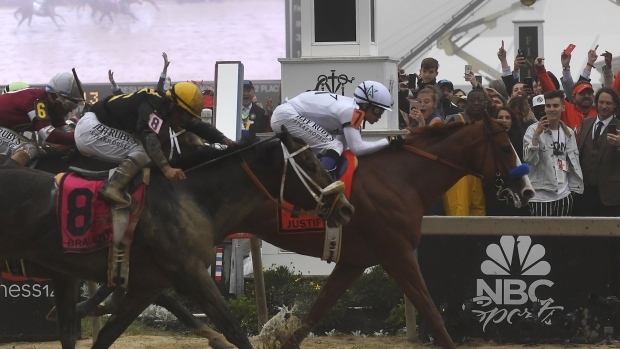 Justify won the Preakness Stakes and is now just one win away from becoming the 13th horse to win the Triple Crown.